Hi there! I'm Jeannie Oliver, Certified Health Coach, Metabolic Effect Fat Loss Coach, Fitness Nutrition Specialist, NASM Certified Personal Trainer and classically trained chef. I grew up in Southern CA and worked in the fashion industry for a decade, both of which can really skew one's perspective on how a woman’s body should look. As a younger woman I struggled with anxiety, depression, chronic pain, eating disorders and negative body image, so I know first-hand what it’s like to struggle with these issues. Thankfully I also know how amazing it is to be free of them, and having overcome these challenges via natural, holistic means I am better equipped to help my clients triumph over their own struggles. After running my own wardrobe styling business since 2005 I found myself spending more time reading about nutrition and less time watching the runway trends and reading Vogue. I wanted to make a real and lasting difference in people's lives and to work in an industry that was more aligned with my values, so I decided to take my passion for health and fitness and use it to help others look and feel great, inside and out. Now I truly love what I do! Each client is so unique that it never gets boring and I am constantly reading, researching and studying in order to offer my clients the best, most current information available. I originally studied biology at Seattle Pacific University, then my love for food led me to Seattle Culinary Academy where I completed both the culinary arts and specialty desserts & breads programs. Natural health has also been a lifelong passion of mine, so in nutrition I have found the perfect combination of science, wellness and food - delicious food! 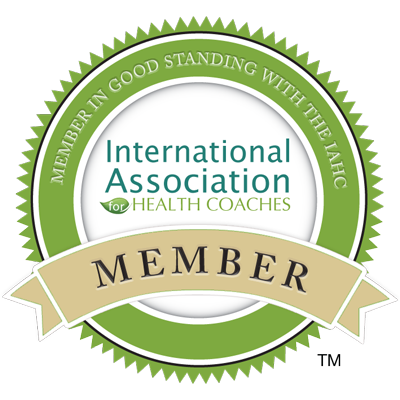 I am a graduate of the Institute for Integrative Nutrition, where I was privileged to learn from brilliant minds such as Dr. Andrew Weil, Dr. Deepak Chopra, Dr. David Katz (Dir. of Yale University's Prevention Research Center), Dr. Walter Willet (Chair of Nutrition at Harvard University) and many other cutting edge researchers and nutrition authorities. In addition to my private practice, I worked as the in-house Nutrition Counselor at Sophia Health Institute for several years where I helped patients struggling with chronic illness and Lyme disease to optimize their wellness with proper nutrition. I donate 10% of my income to charities supporting humane farming, sustainable agriculture and animal rights.